War of words in the cradle of south Asian civilisation! However peaceful this ruined city of the Indus civilisation may appear, the former residents of Harappa and the remnants of their society are today at the centre of one of the most acrimonious disputes in academia, a controversy that has allegedly led to death threats and claims of racism and cultural chauvinism. Many experts in south Asia and elsewhere believe that symbols and marks inscribed on seals and other artefacts found here represent an as yet undeciphered language. Arguing it may be the predecessor of one of several contemporary south Asian argots, these experts say it is proof of a literate Indian society that existed more than 4,000 years ago. But other experts based in the West say although the symbols may contain information, they are not a true language. They claim the judgement of their counterparts in south Asia may be swayed by regional nationalism. The Indus civilisation covered more than 500,000 square miles and lasted, during what experts term its “mature phase”, from 2,600 till 1900 BCE. The ruins, 100 miles south-west of the Pakistani city Lahore, the ruins were rediscovered in the early part of the 19th century. The skills of its residents – at least in terms of making bricks that could endure centuries – were revealed by two British engineers, John and William Brunton, who were building the East Indian Railway Company line to connect Lahore and Karachi and needed ballast for their track. The engineers later wrote that locals told them of well-made bricks from an ancient ruined city that the villagers had made use of. With little concern for preserving the ruins, huge numbers of the Indus-era bricks were reduced to rubble and used to support the tracks heading west. In the early 20th century, excavation of Harappa proceeded along with that of the other Indus city at Mohenjo-daro, in the south of Pakistan, and it was at that time many of the seals now on display in Mr Hassan’s museum containing symbols and images of animals were discovered. And they have continued to beguile, fascinate and frustrate scientists, causing a running controversy that has played out on internet message boards, scientific papers and at academic conferences. Like Mr Hassan, Iravatham Mahadevan, an expert in epigraphy from southern India who has been awarded the country’s highest civilian award for his work, has no doubts the symbols on the Indus seals represent a genuine language. “Archaeological evidence makes it inconceivable that such a large, well-administered, and sophisticated trading society could have functioned without effective long-distance communication, which could have been provided only by writing,” he wrote last year in a magazine. Mr Mahadevan believes the Indus script may have been a forerunner of so-called Dravidian languages, such as Tamil, spoken today in southern India and Sri Lanka. 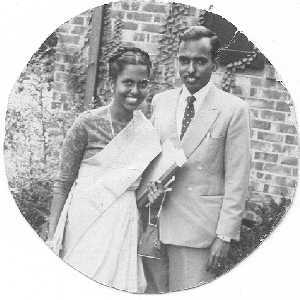 In addition to technical clues, he says the continued existence of a Dravidian language in modern Pakistan – Brahvi, which is spoken by people in parts of Balochistan – supports his idea. Over the years, there have been plenty of other theories both from established experts and enthusiastic amateurs. Some, with the backing of Hindu nationalists, have claimed the script may be an early Indo-European language and that remnants of it may even exist in Sanskrit, an ancient language that is the root of many present languages in north India, including Hindi. It has even been claimed the Indus script belonged to metalsmiths, and others believe it died out with the city of Harappa itself and gave rise to no successor. Part of the problem for the experts is that, unlike for those who cracked the hieroglyphics of Egypt, there is no equivalent of the Rosetta stone, the slab of granite-like rock discovered in 1799 that contained Egyptian and Greek text. In the 1950s, academic interest in Mayan hieroglyphics intensified when experts began to study modern spoken Mayan, but for the Indus scholars there is no agreement on which, if any, modern language is the successor to their script. In 2004, the debate was jolted into a war of words after three American scholars claimed the Indus symbols were not a language at all. In a paper provocatively subtitled The Myth of a Literate Harappan Civilisation, they said there was insufficient evidence that the symbols constituted a proper language. They pointed to various factors: that there was no single long piece of text; that there was disagreement over the number of actual symbols and that other well-organised societies had been illiterate. The symbols, they argued, may well contain information in the same way that an image of a knife and fork together might represent a roadside eatery but they were not a language that could record speech. More recently, the Indus controversy has been joined by a team of Indian scientists who ran computer programmes which led them to conclude the symbols almost certainly constitute a language. Central to their claims, published last year in Science, was the theory of “conditional entropy”, or the measure of randomness in any sequence. Because of linguistic rules – such as in English the letter Q is almost always followed by a U – in natural languages the degree of randomness is less than in artificial languages. Yet as soon as Mr Rao’s team published its findings, Mr Farmer and his colleagues hit back, denouncing their conclusions and methodology. Mr Rao, whose team has since issued a detailed defence of their theory, said he was surprised at the level of contention, within south Asia and beyond, but also at some of the comments he claims Mr Farmer’s group levelled at him. Why Michael Witzels, Steve Farmers, Karunanidhis are so worried about IVC? If the scholars are genuinely interested in researching and presenting facts without any bias, such type of presentation could be understood by even common man by going through. But when a certain pattern with bias, prejudice, pre-determined attack on one particular linguistic or religious group counched under the so-called not following racism, racialism etc., then there is a reason to doubt their credentials whether they are Indian, Indian born or non-Indan, European or American categories. Therefore, the changing stands of the scholars also worry common men, as their views are picked up by the ideologically biased journalists and politicians to interprete and propagate according to their viewpoint. Here only Karunanidhi comes. He never bothered when Asko Parpola visited Madras / Chennai about 100 times. It is not known as to whether he has ever met him and discussed. In 1990s, he said that the whole affairs of fighting with each other etc., were Aryan issues! Rama and Krishna were black and Kshtriyas……………and so on! Or his friend Iravatham Mahadevan used his good offices to make him meet. However, now he has been chosen for the award! In deed, it should have been given to Michael wizel or Steve Farmer appropriately, as they have done excellent work. not only that, Michael could come right inside the so-called “Aryan-bastion”, the much hated “Parppaniya den” – Sanskrit College and declared that he had developed some skills to read and understand Rifvedic verses. However, he could not pronouce “Indrasul, Mitrasil,Nasatya…….”, as his tingue was not co-operating! However, his humour has been phenomenal and epigenetic! Kindly have more fun, dear friends cheers! With due acknowledgments to Sanskrit Professor! giving the facts, their plans crumble. Dartmouth later today or tomorrow, I believe. settle the theory of an Aryan Invasion” at c. 1500 BCE. been used for that purpose). chromosome studies relating to India (see below for details). independence! ), but he is not of a Hindutva mindset. read the Vedas or studied comparative linguistics). their than, say in Greek or Latin. (ironically when Homo Sap., sap. had not yet left Africa). excluded… Note that this “result” excludes much of Pakistan and E.
wide river bed of former times. stages, with several reversals. Not mentioned of course). sense of this great historian. India some 2 years ago. beyond… Maybe I can do so this summer. Lal too propounds the identity of the Vedic and Harappan civilizations. Further a discussion of pur ”fort”, and sea trade with 100-oared boats. mythological one, not one of human traders. it “overlaps in time and area with the Harappan civilianization”. is a well respected authority, it had to be done. Kazanas is the head of a new age-like institution in Athens (Greece). anti-Migration bandwagon in recent years. which fits the RV evidence of horses and chariots. Sutra, while it has been found in the Indus civ. His simpl(istic) summary: the RV must be older than the Harappan civ. the age of Indian civ..
Aryan invasion as there “never can be any peaceful immigration” Huh? be disputed (as I did of course), point by point. actually appear, after 2000 BCE)? the description of the movement of some planets, some eclipses, etc. changing medium like the epic. She was, in a certain way, the most amusing highlight of the meeting. about various scholars about the theory. first read, then speak…” several times. Rajaram-like “forget me not” case. questions, as he now fancies himself as budding population geneticist). Aryans] may not be easily detectable. efforts), but that good science always is self-correcting. others that came for the outside. found from E. Europe to India. migration” — well, at 60,000 BCE, not at the likely date of 1500 BCE. landscape based on his project of studying 415 Indian populations. Aryan at 3.5 to 5,.5 kya. study: with similar results as those in Underhill’s. So far so good. sub-haplogroups makes it impossible to say anything more. bad for the Rajaram’s of this world. been even a greater loss of time and energy). Asko Parpola gets award from the controversial Karunanidhi! Karunanidhi has been modern day racist Dravidian leader, who runs government in the name of “Dravidian race superiority” against the imaginary “Aryans”. Just like Hitler, he believes that “Aryans” were responsible for the “downfall” of “Dravidians” and therefore, he has been waging perpetual war against those “Aryans”. Now, the racist Karunanidhi has recognized that asko Parola has been responsible for indetifying the undeichiphered IVC script as “DRavidian” and therefore, he is awarded by that Dravidian racist leader! Let us see the response of the academicians. Already, his controversial “Tamil conference” is infested with various problems. 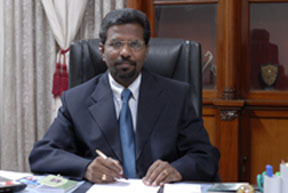 The original Tamil Body had refused to participate in the conference. Kalaignar M. Karunanidhi Classical Tamil Award: For his work on Dravidian hypothesis in interpreting Indus script, Asko Parpola gets the award in the name of controversial racist leader. 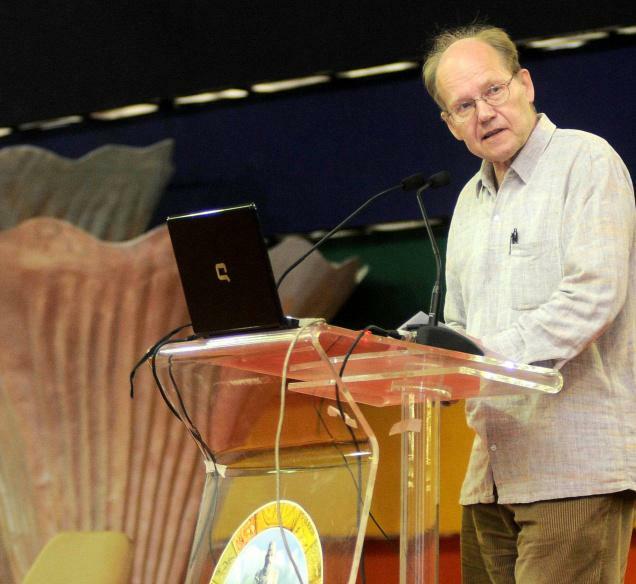 Asko Parpola, leading authority on the Indus script and Professor Emeritus of Indology in the University of Helsinki, Finland, has been chosen for the Kalaignar M. Karunanidhi Classical Tamil Award for 2009. He was selected for his work on the Dravidian hypothesis in interpreting the Indus script because the Dravidian, as described by him, was very close to Old Tamil, an official release issued on Saturday said. Professor Parpola will receive a cash prize of Rs. 10 lakh, a citation and a memento during the World Classical Tamil Conference to be held in Coimbatore in June. Selection appears to be more political than academic: His selection was made at a meeting chaired by Chief Minister M. Karunanidhi, who is also chairman of the Central Institute of Classical Tamil. Two hundred and thirty nominations were received from different countries, including Australia, U.S., the United Kingdom, Sri Lanka and Finland besides India. Administered by the Institute, the award was established out of a donation of Rs.1 crore made by Mr. Karunanidhi in July 2008. The amount is being deposited in the name of Kalaignar M. Karunanidhi Classical Language Trust. Asko Parpola: Born in July 1941, Professor Parpola has devoted his life to the task of solving the Indus script. Since 1968, he has been stressing that the Indus civilisation and its writing are Dravidian. His research and teaching interests include Indus Civilisation, Samaveda, Vedic rituals, South Asian religions and pre-historic archaeology of South and Central Asia. His magnum opus “Deciphering the Indus Script” proposing Dravidian as the language of the Indus script has been hailed a classic in the field. His ‘Concordance to the Indus Texts’ has been serving as a valuable source for researchers. The two volumes of ‘The Corpus of Indus Seals and Inscriptions,’ reproduced the original seals and their impressions.